We are the leading Managed Print Services provider in the UK. Our business solutions help your company to gain visibility and control of your entire document infrastructure to significantly cut costs and optimise your performance. Printware deliver a stress free service by ensuring your print technology does not experience avoidable problems through our proactive management. We automatically replace toner and consumables when required and always deliver outstanding service to ensure the up-time of your print devices is maximised. Here is an overview of how our Managed Print Services can dramatically add value to your organisation. Our initial phase involves conducting a complete audit of your printing environment to learn about your organisation’s requirements. This allows us to identify and propose the most ideal and beneficial business solutions. The critical components of your print capabilities are captured throughout auditing, including key indicators such as current/future print volumes, end user needs, file formats, colour coverage and much more. In addition to our hardware proposition, we can further enhance your document workflows by offering the best-of-breed print software to deliver an end-to-end Managed Print Service. The delivery, installation and integration of your print devices will be provided by our in-house logistics and professional services teams. Once set up and configured to your network, everything will be taken care of and managed by us. This includes consumable monitoring/ordering, meter readings, proactive maintenance visits, billing, management reporting and complete servicing of your fleet. Once the device approaches end of life, we can even collect and recycle it for you in the most efficient way possible. We remotely monitor all devices using our suite of managed service software. This allows us to find and repair mechanical issues, sometimes before you even realising there is a problem. 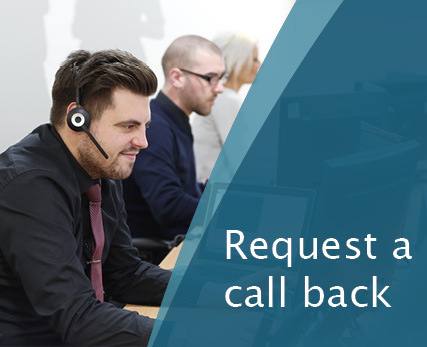 For repairs that cannot be fixed remotely, we arrange our team of local field service engineers to visit your premises within our guaranteed response time of four hours. Our average overall service response has been less than two hours since we launched. Our managed print services has enabled businesses to identify and cut down print costs by up to 40% each year. It has also allowed companies to free up office space due to no longer needing to store unnecessary equipment and print consumables. The overall print performance enhances, with all the service, maintenance, ink and toners included in one quarterly cost effective invoice. Secure Release will enable your company to use your employees’ ID access cards to securely print documents, which in-turn will minimise your capital investment and help you to lower costs. This will also simultaneously reduce your carbon footprint. Problems attributed to hard-copy information can affect all areas of productivity. By scanning physical documents direct to your email address and converting them to digital format greatly improves efficiency, productivity and collaborative working. Contact us to find out more. Incorporating mobile printing allows you to print from any device via email, wireless connection or via your work environment. We can deliver a mobile print service that enables you and your visitors to print from a smartphone or tablet, regardless of whether you are away from your desk, hosting guests or at another office. Our specialist software can accomplish common workflow processes at the touch of a button. Invoices and other hard-copy documents can be scanned, copied, distributed electronically and archived automatically. We can essentially tailor our automated invoicing software to your workflows. The implementation of our latest Cloud technologies into your Managed Service enables you to take full advantage of printing whilst on the go, no matter what device you have. Cloud Solutions allows you to effectively and securely store confidential data and maintain accessibility from any device regardless of the location. Contact us to find out more. Our scanning services provide the latest technologies, delivering the best quality image capture from your documents. We have a highly capable and experienced team delivering on-site and off-site scanning services, providing quick, secure and highly reliable scanning services. We form an understanding of your printing costs and help you to control them, whilst optimising your company’s document performance. 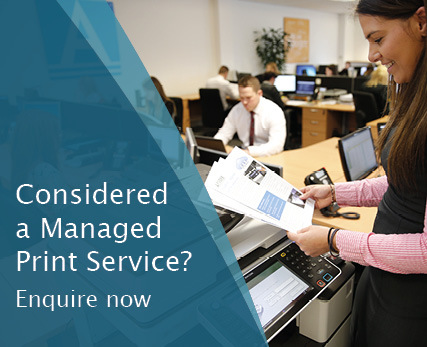 To find out more about our Managed Print Services or to talk to one of our specialists, call today or get in touch via the website email form.